Poster for a film screening in Wanaka, New Zealand, to raise money for the Christchurch Earthquake Appeal. 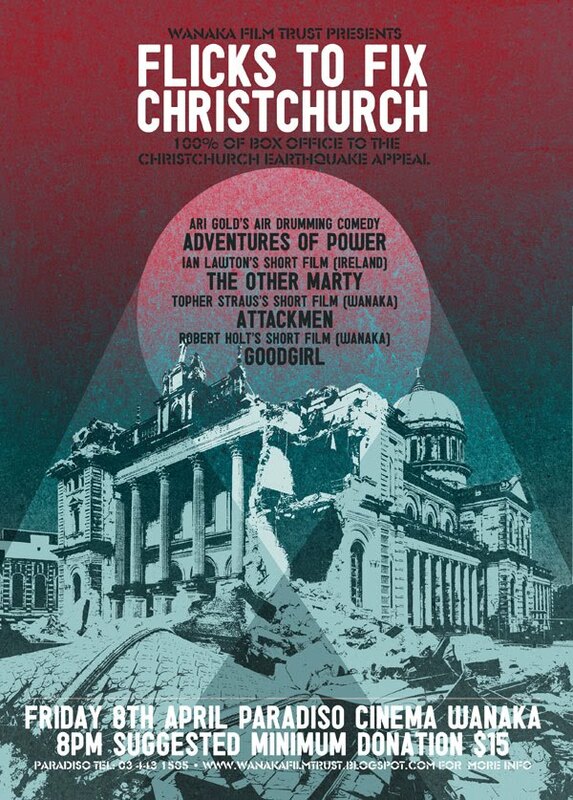 This is being organised by my buddy Robert Holt of Wanaka Film Trust. I actually did two posters for this, Rob posted the other one on the WFT blog.